Former England defender Rio Ferdinand is leaving Manchester United after 12 years and more than 400 appearances having won almost every major honour in the game, he said on Monday. "I have thought long and hard over the last few months about my future and, after 12 fantastic years playing for what I regard as the best club in the world, I have decided the time is right for me to move on," Ferdinand said on his website. British media reported that the 35-year-old Ferdinand, who played 454 times for United and scored eight goals, was not offered a new contract by the Old Trafford club. He won six Premier League trophies, two League Cups, the Champions League and the Club World Cup after joining from Leeds United for 29.1 million pounds ($49.1 million) in 2002 to become the most expensive player in English football. "I joined Manchester United in the hope of winning trophies, and never in my wildest dreams could I have imagined how successful we would be during my time here," Ferdinand said. "Circumstances didn't allow for me to say goodbye the way I would have liked but I'd like to take this opportunity to thank my team mates, staff, the club and the fans for an unbelievable 12 years that I'll never forget. Winning trophies I dreamed about as a kid came true at this great club." 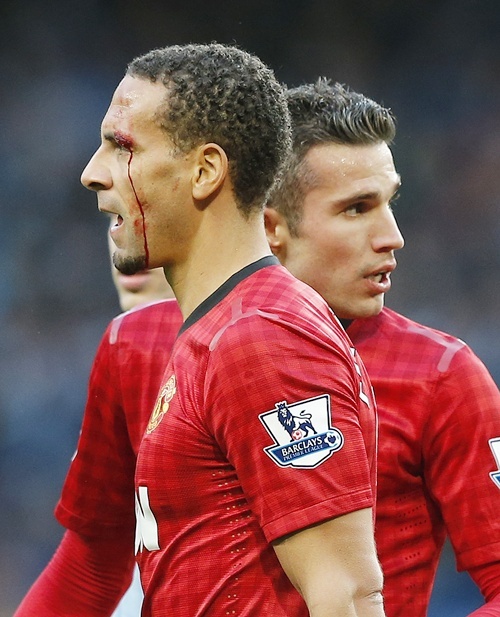 Ferdinand has not decided whether he will continue playing. "I am feeling fit and healthy, ready for a new challenge and looking forward to whatever the future holds for me," he said. Agassi says Nadal ahead of Federer as all-time best. Is he?